Instagram made ground-breaking records when it hit the market in 2010, and the number of users is increasing every day. It has become one of the most sought-after social media platforms for interaction through photo and video sharing. With so many users engaged in the app, business and companies are investing a significant sum on advertising through the platform which gives Instagram users an open opportunity to explore their potentials in the market as well. Since the relevance of an Instagram account relies on the number of followers, more than the content of the page, it becomes vital for users to accumulate as many followers as possible. Selene Gomez, the Jenner Sisters, the Hadids and the Kardashians are some of the most followed personalities on Instagram. They get millions of likes for every post they make and are making tons of money by getting sponsored by high-end brands all over the world. While some would criticize these celebs and their number of followers as an inherited number through their social standing, but having over 100million followers is not something that can be achieved easily. So why do people take so much trouble to accumulate followers and likes on Instagram? When you have a considerable number of followers who see and like your post on a regular basis, it means that your photo is reaching a vast amount of people all over the world which gives you a certain amount of influence by the things you post. When you do well, you automatically catch the attention of marketers looking for someone to promote their brand. These companies and businesses are likely to approach you to advertise their product or services and pay you for the post. With so many viewers on your page, you have the power to influence a certain number of the population. Some use the platform to promote their lifestyle, interest or educate, while others use it to sell brands. By using hashtags, nametags, geotags or even captioning the pictures you post, you can voice out about any issues and be sure that someone is being inspired by it. A large number of followers means more credibility and influence than fewer followers and likes. When people see that many others support your content, they automatically believe the authenticity of the product or service. If you promote a business, your followers could get you more followers, opening up your prospect rate and generating more sales. With so many followers who are continuously engaged in what you share, you could gain social recognition and level up your potentials of being famous. There are many Instagram celebrities these days, who, by their post, have attained celebrity status. Be it for a viral video or an inspirational photo, having many followers give you a chance to be famous. Whether it is to grow a business, promote brands, influence an audience or build a market or for personal fame and popularity, Instagram users depend on the number of followers. Most Instagram accounts get more followers by the quantity rather than the quality. So, users have to strategise their Instagram account to get genuine, active and engaged followers. Gaining considerable amount of genuine followers takes a lot of dedication and patience. Sometimes it does not work only to post outstanding content or have many followers. The algorithm of Instagram is set in such a way that the more followers and likes that you have, the more exposure you gain, which in turn speeds up your following and likes. For a starter, it can be hard to achieve such organic followers in quickly unless you are already a famous person. For personal or business start-up promotion, the internet has a smart solution, and that is through paid followers. You can also buy Instagram followers at Lunarviral and instantly boost your account. This is a great way of gaining traction early in your accounts growth and has helped alot of people to boost their presence on social media. 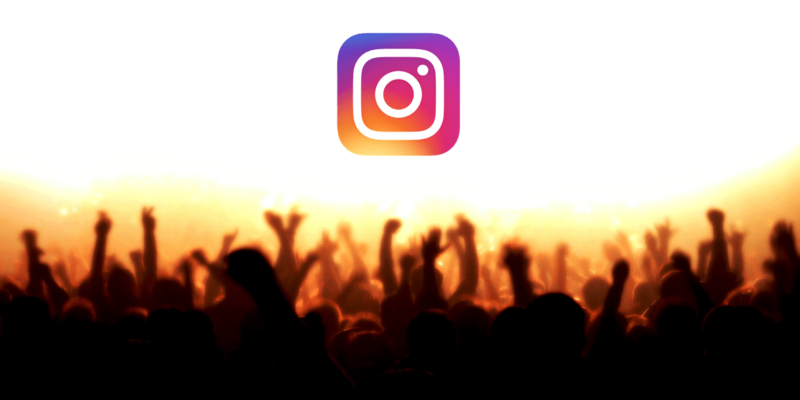 Here are some reasons that show that buying Instagram followers is in fact, a great idea! Starting up an account and gain new followers is the hardest part of Instagram. It is essential to have a few genuine followers first and then buy a number so that your posts seem natural. While gaining a few followers might be easy for someone with an already prominent social media presence, buying likes and followers for a newbie is a booster to climb up the Instagram ladder. Buying Instagram followers from websites can establish credibility for your account. When you accumulate a significant amount of followers, you will automatically earn more followers. By gaining credibility of your account through authentic posts and engagement, it influences others to follow, raising your followers’ rate higher. When an Instagram with a large number of followers post something, be it a sponsored product or recommendation to visit a place, and if the post has over 5000 likes, other followers are likely to believe it. When you try to gain followers by following accounts through the “follow back” strategy, it becomes manually tiring and time-consuming. Besides following an Instagram account for the sake of a follow back also messes up the content on your explore page. Buying followers and likes on Instagram is even more advantageous for a business website. An Instagram account acts as a lead magnet to generate traffic to the site. Once there is considerable traffic, it will make the website rank higher on search engines and improve the chances of being on the top of the search results.